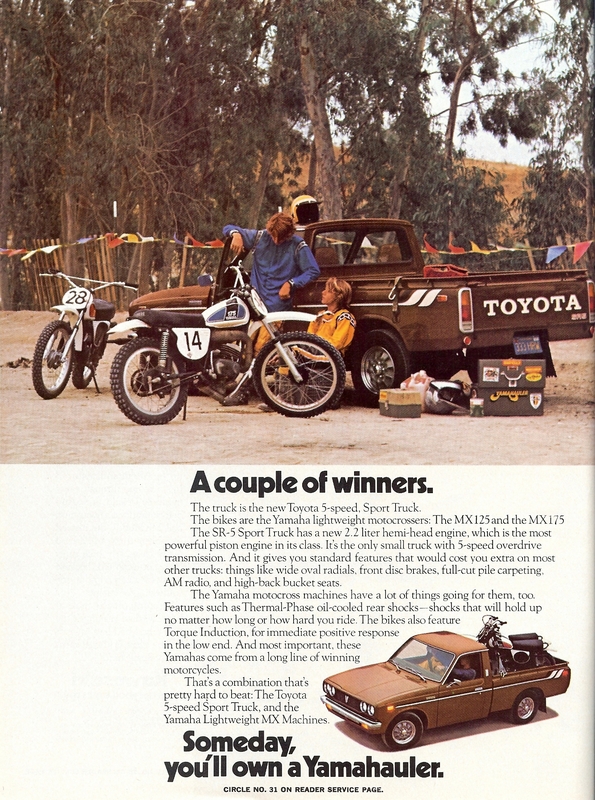 Back in the 70’s Toyota offered a ‘Yamahauler’ truck package where you got an Yamaha MX175 and MX125 when you bought the SR-5 sport truck. 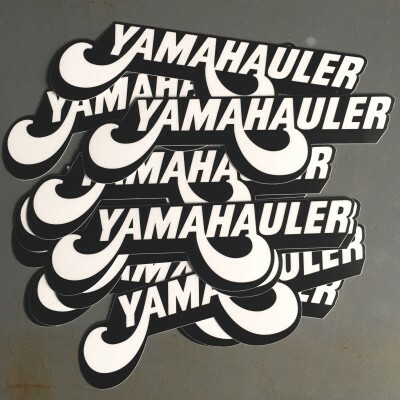 I think this was the coolest package so I remade the ‘Yamahauler’ stickers for all of us with Toyota’s and old Yamaha’s. $5 each with free shipping. Each purchase supports COTT and Cast & Salvage! Take notice of the Yamahauler sticker on the toolbox in the bottom right. 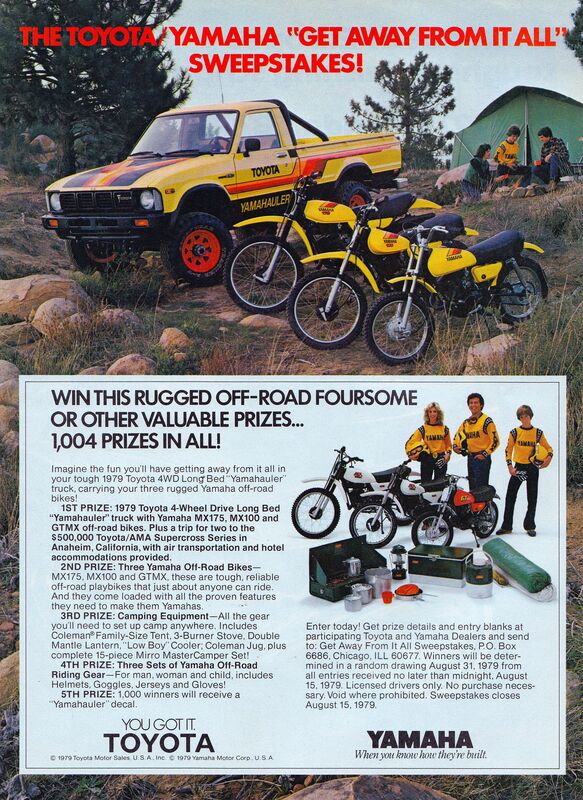 Toyota also ran a contest to win a ‘Yamahauler’ SR-5 Truck with an MX175, MX100, and GTMX 80. 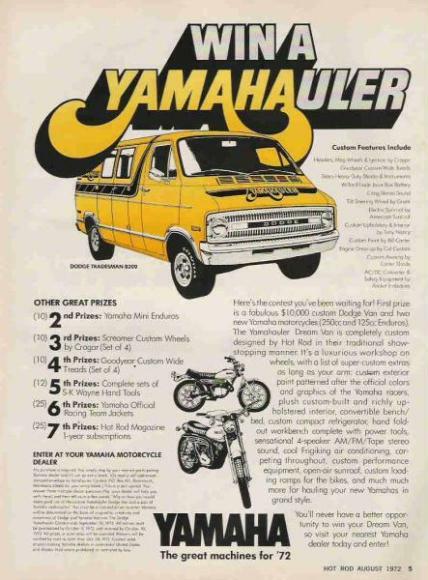 And lastly this Yamahauler Van which was also a promotional contest I think. This is rad. 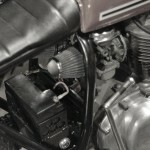 What year was this and any idea on what the msrp was on the package? I haven’t come across a price for the package yet. Info about this stuff has been hard to find. I think it’s all long forgotten stuff. Looking for the newer Yamahauler decal that was fixed to the Toyota Tundra in the late 90’s early 2000’s. Do these exist anymore…..I can provide a photo of what I mean if necessary. Thanks & look forward to hearing from someone soon. Hi Bob. I don’t think I’ve seen what you’re talking about. 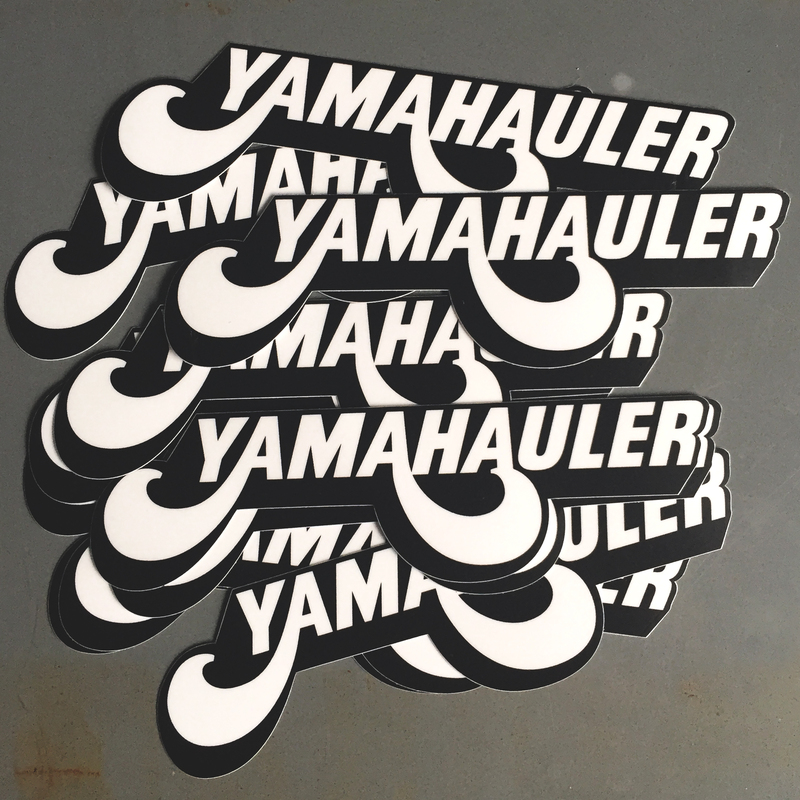 I only made this 70’s era yamahauler stickers. 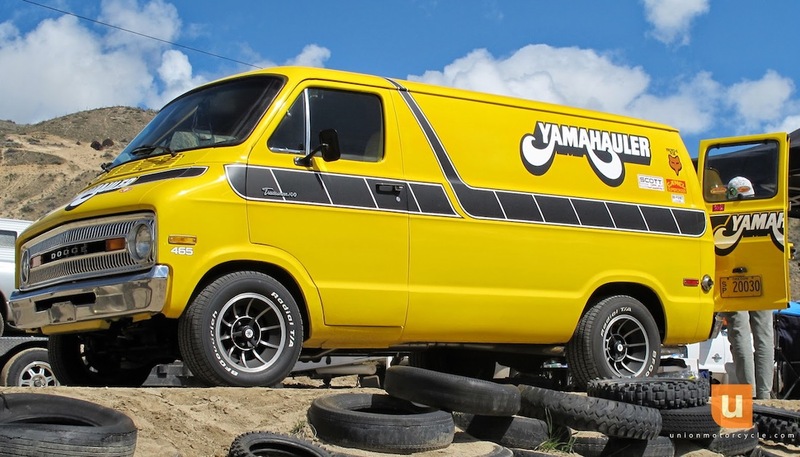 I’m planning to build a recreation of the Yamahauler Van. Any chance you could do the stickers big enough for one of those? Thanks! Scott, you can find those large sticker sets on eBay. 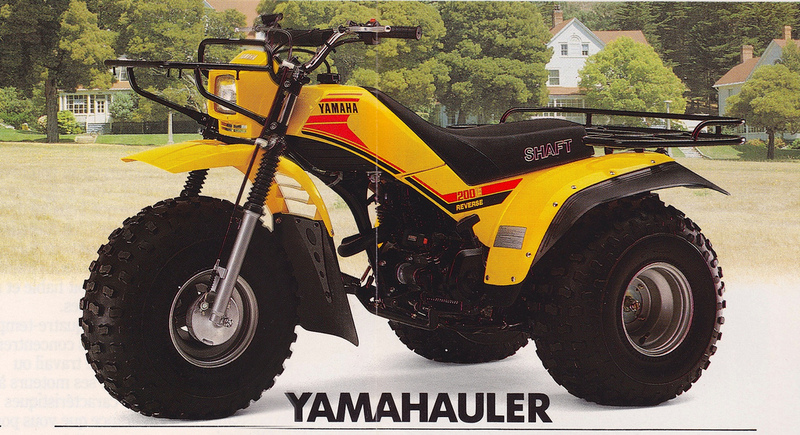 I was the designer and creator of the Yamahauler sticker. 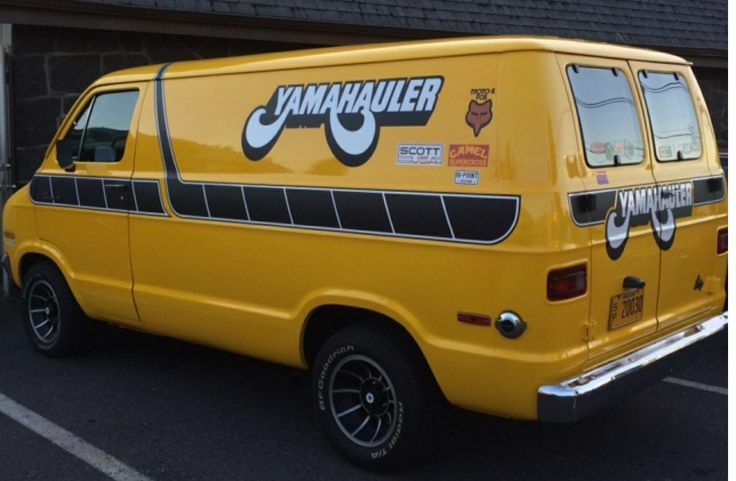 In ’72 I was the art director for the ad agency that had the Yamaha account and I was given the assignment to design and name a logo for two Dodge vans that were to be given away in a sweepstakes contest. (See the ad above.) About ten years later I started to see this thing everywhere and now it’s still being used. You can be sure I never made a dime more out of it than my meager salary at the time!